Washington - ‘Tis the season — no, not THAT season. It’s that point in the presidential election cycle when speculation starts swirling that the primaries won’t produce a clear winner and one of the parties’ big nominating conventions will dissolve in chaos. This time, it’s the Republican side of the race that’s looking particularly unsettled. After a crazy year in which Donald Trump’s ability to stay on top in a supersized pack has repeatedly confounded the conventional wisdom, the what-if chatter is wilder and louder than usual. What if no one gets a majority of delegates in the primaries and caucuses? What if Trump leads the delegate count but party elites want to derail his route to the nomination? What if delegates to the Cleveland convention deadlock on multiple votes and then try to turn to someone completely new, perhaps House Speaker Paul Ryan?!? Silly, says Republican Party Chairman Reince Priebus. “I don’t think that’s going to happen,” says Trump. Veteran politicos agree such scenarios are unlikely. The outlook will clarify once people start voting in February, they insist. But they also acknowledge that the chances of an unsettled outcome are higher than usual in the current unconventional political environment. This from the man who went on to play a central role in the Florida recount at the heart of the Bush v. Gore battle for the presidency. 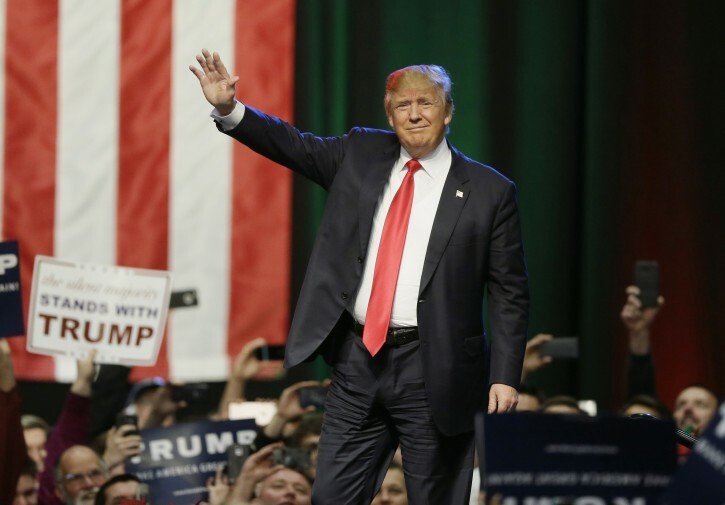 The large field of GOP candidates and Trump’s wildcard candidacy aren’t the only factors at play in speculation that the 2016 primaries could end in uncertainty. The GOP in recent years has been shifting to a more proportional way of allocating delegates from each state than the old winner-take-all approach. And that means the momentum Romney achieved after winning a couple of big states in 2012 “is just not going to be as likely” this time, says Mark Stephenson, a Republican consultant who handled delegate strategy for Scott Walker’s short-lived presidential campaign and worked on the Romney campaign in 2008. Even if the field of candidates has been winnowed to three or four after the first four states award 130 delegates in February, the winner in the big Super Tuesday round of voting on March 1 still might come up with just 300-400 delegates of the 600-plus to be awarded that day, says Stephenson. That’s a far cry from the 1,237 delegates needed to clinch the nomination. Stephenson agrees that a contested convention is unlikely, but says that between the unusual campaign dynamics at play this year and the proportional delegate allocation rules, “as people start playing with the math, it’s certainly an interesting exercise to come up with scenarios” under which nobody gets to a majority before the convention. This, then, is the time of joy for delegate geeks who love to nerd out on the fine print of presidential politics and speculate on the what-ifs of a divided convention. “We do this every four years,” says Joshua Putnam, a political science lecturer at the University of Georgia whose frontloading.blogspot.com wallows in the intricacies of the primaries. The idea of a brokered convention harks way back to when power brokers in smoke-filled rooms could twist arms and party bosses could steer their preferred candidate toward the nomination. More likely these days, if still a longshot, is a contested or deadlocked convention that opens without a presumptive nominee. The last time a Republican convention opened without a clear nominee was 1976, when Gerald Ford led in delegates but lacked a majority coming into the convention. There was plenty of drama as Ford beat back a challenge from Ronald Reagan and eked out the nomination on the first vote. You have to go all the way back to 1952 for a true brokered convention at which delegates turned to someone new. 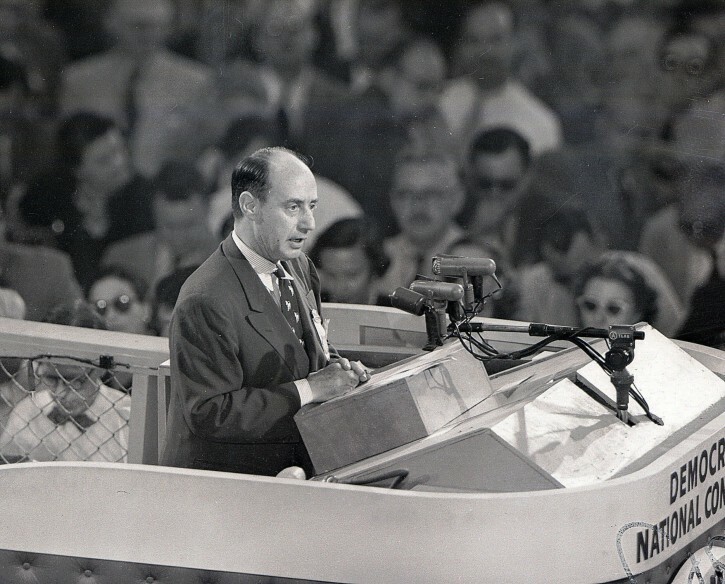 Democrats drafted Adlai Stevenson, who won on the third ballot. Putnam says a rule approved at the GOP convention in Tampa in 2012 could add intrigue in 2016. It requires a candidate to have a majority of delegates in eight states to win the nomination, up from the previous requirement of a plurality of delegates in five states. In a large field, this higher hurdle to the nomination could be daunting. But it’s also a temporary rule that the party can change if the outlook is muddled coming out of the last round of primaries in June. Talk that party elites might try to derail a Trump presidency at the convention runs into all sorts of pushback against the idea of disregarding the will of GOP voters. “I’m an ANTI-Trump guy, but if the GOP elites (of whom I might be one) attempt to smother the will of Republican primary voters, I will spring to Trump’s defense,” GOP consultant Rich Galen said in an email. As for the Paul Ryan scenario, the House speaker declares it “dumb speculation” that should stop. Of course, it was just two months ago that Ryan was pooh-poohing pleas that he become speaker after John Boehner resigned.